Dr. Ardyce Yik ND is honoured to be featured alongside influential professionals and celebrities in this year’s SCMP XXIV magazine. 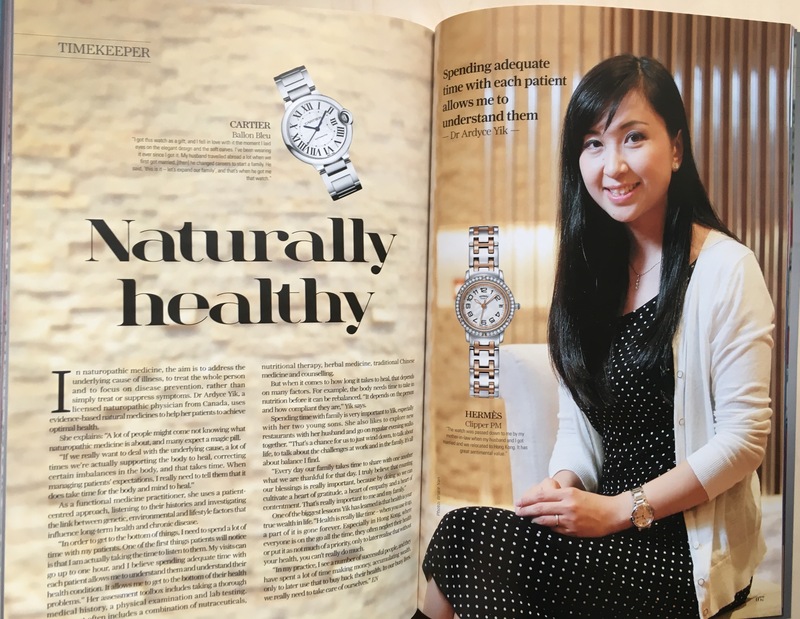 She was invited to share her views on time and her favourite watches with readers. This December, Dr. Yik marks her 10th year in practice as a licensed naturopathic doctor. She thanks everyone for their support and she will continue to serve her community, helping people to achieve and maintain optimal health- naturally. Click here to read the magazine article.